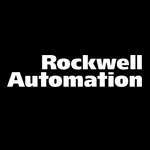 Rockwell’s Automation’s mission is to improve the quality of life by making the world more productive and sustainable. They are committed to enabling the next generation of smart manufacturing. With the right strategy, talented people, and our substantial financial strength, they are dedicated to deliver value to their customers. When we invest in Rockwell Automation technology and solutions, we invest in the future of manufacturing.